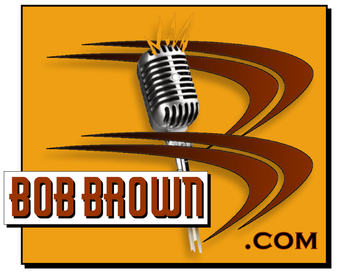 Here's OUR BOTTOM LINE, OUT THE DOOR PRICES for fully customized, highly produced radio and TV audio commercials featuring the voice of Bob Brown, just like what you hear on our demos and spot shop. Each spot is complete with music, sound effects and all the bells and whistles, ready for broadcast, delivered to you via website or email. There are no other hidden fees. Prices are based on a single production order with your approved and supplied copy. Same session, theme and advertiser, multi-spot discount. 20% off each additional spot of equal or lesser value for copywriting and production. We offer multi-spot package discounts so if you are wanting a series of radio spots, say a :60, :30, and a :15, or let's say you're advertising your campaign on both TV and radio, you get big discounts when you order more than one spot at a time of the same theme, for the same advertiser, to be produced in the same session. 5% off the 2nd session, 10% off the 3rd, 15% off the 4th, all in one calendar month! At BobBrown.com we hope you'll love our work and reap the rewards of using a great advertising sound that really compels your target market to take action. We offer additional incentives for advertisers that want the freshest spots on the air by running a new spot, or a series of spots, more than once a month. So we offer monthly volume discounts. Book more than one session in any calendar month for the same advertiser and the discounts continue to go up, based on sessions of equal or lesser value of the original session. Copywriting for Radio or TV, maximum :60 seconds, $75 flat rate per spot. Let us write your commercials to ensure you get all the power and impact that words can deliver. We write spots for how Bob Brown voices them and how we produce them. We know what works to get that "Brown Sound", and all the excitement and buzz your ad can generate. All we need from you is a fact sheet on the kind of sale you want to have, with all the specific incentives, price points and advertiser information we need to make a complete spot. Then we'll take the ball and run with it! Copywriting Revisions. 1st revision before final copy approval is free of charge. Each additional copywriting revision is $25 minimum. Production/voice revisions are $50 minimum. We hope we've covered all the bases so you fully understand our bottom line pricing and how we like to do business with you. One variable that's hard to nail down a price with, is the inevitable, REVISIONS! Please know that we want you to be happy with our work and we will do everything to give you the power to get exactly what you want at the above advertised prices and discounts. We also want you to know that revisions can be costly and time consuming for you, and us as well. We want to approach the revision fees with fairness and understanding because we know that sometimes revisions are a mandatory part of fast paced advertising. These minimum copywriting and production/voice revision rates can go up, based on the complexity of the revision and the actual number of words being revised. We like to use the analogy of replacing a broken window in your home. It's much cheaper to replace the window with one that's the exact same size and made to fit the opening. If the replacement window is bigger or smaller, you'll need to hire framing guys to cut and bang on your house to make the new window fit. Same is true for audio. If we're removing 10 words in a single window and producing 10 replacement words to fill the hole, there's no costly cutting and banging on your spot house. Now, listen to our audio demos and spot shop samples, contact Jim Wills and lets get the deal done! Copyright 2016. Brown Spots, Inc.